Note: This game preview comes to you a day early because I will be on the road from tomorrow through the end of the weekend. As a result, I will only be able to provide limited additional coverage. In my stead, you may want to check out ESPN’s Cardinals’ Clubhouse or the Cardinals’ Official Website. 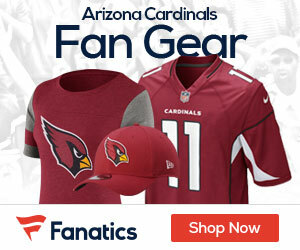 The Cardinals once again squeaked out a victory in dramatic fashion, this time owing the win to Sebastian Janikowski’s missed 32-yard would-be game winning field goal. The Cardinals’ offense clunked to life when it was needed most, just barely getting enough points to hold off the Raiders. The Cards’ defense rebounded from a very shaky first half by playing with great intensity in the second half, especially in the redzone. In fact, the Cardinals allowed only 3 points in the second half. That defense, however, will be thoroughly tested (perhaps overwhelmed) by the Chargers’ offense this week in San Diego. Throw the Bolts’ 1-2 record out the window because they’re a very good team that is famous for its slow starts. On any given week, it could be the game that the Chargers get the current flowing and rattle off eight, nine or ten straight wins. Phillip Rivers, who leads the 2nd ranked passing attack in NFL (345 yards/game), has the talent and ability to take over any game. Despite two losses in three games, Rivers has already thrown for 7 touchdowns and 1,087 yards, all without the benefit of star wide receiver Vincent Jackson. Without Jackson, Rivers has relied on Malcom Floyd, Legedu Naanee, and Buster Davis to get the job done. In addition, Rivers will of course have his favorite target, tight end Antonio Gates, healthy and at his disposal. If given the chance, Rivers will turn the Arizona defensive secondary into shredded wheat. Rookie running back Ryan Matthews missed last week’s game with an ankle sprain, but Mike Tolbert has been filling in admirably. Tolbert has 181 yards on 35 carries for a 5.2 average to go along with his 2 rushing touchdowns. The combination of Matthews and Tolbert so far has given the Chargers the 12th ranked rushing attack (116.3 yards/game), which gives this offense great balance. The sometimes suspect Chargers’ defense has been stout as well. The rushing defense ranks 6th in the NFL (181.3 yards allowed/game) and the passing defense ranks 9th (91.3 yards allowed/game). In addition, the defense has logged 6 sacks, 5 INTs, 3 forced fumbles, and two fumble recoveries in just three games. They are aggressive and will surely come after the struggling Derek Anderson with everything they have. With such a high level of offensive and defensive play, the Chargers can blame their two losses to Kansas City and Seattle on special teams errors, especially against the Seahawks last week. San Diego allowed Leon Washington to return two kickoffs for touchdowns, which proved to be the difference in the game. If the Cards can contain Rivers and protect the ball on offense, the game could come down to a special teams play, like LaRod Stephens-Howling returning another kickoff for a touchdown. On paper, the Cardinals don’t come close to matching up with the Chargers. If San Diego jumps out to a two or even three possession lead in the first half, the Cardinals don’t have the type of offense to catch up, even if the defense again manages to shut down the opposition in the second half. In other words, everything must go right for the Cards, right away. 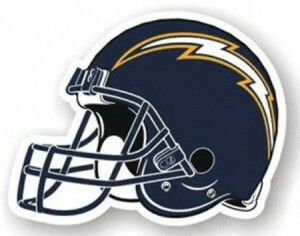 Chargers 80% favorite over Cardinals 20% underdog. 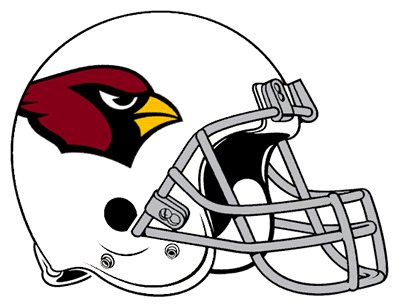 Head to Head Since 2001: Cardinals have a 1-2 record.